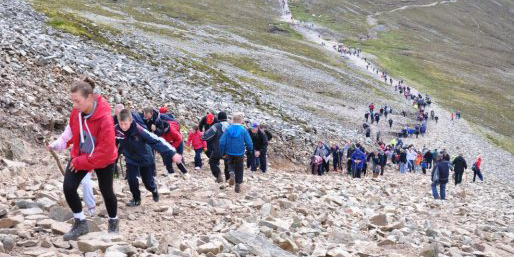 Our pilgrimage to Croagh Patrick situated on the western shores in a most scenic setting brings us into close contact with nature and God’s creation. The setting provides an opportunity to reflect on who we are, on what we are doing, our place in the world and the meaning of life. Where do we derive our sense of worth? From the power and prestige we enjoy, from profit and productivity, all of which can be so relentless but so crippling? The mountain, by contrast, presents an occasion whereby we may access an alternative set of values. The consumerist society in which we live does not readily afford such an opportunity. Concerned with stimulating and satisfying in a circular way, it is diluting our moral standards. We are living at a time when there seems to be no limits to individual choice and human progress. We are part of a vast sea of change over which we have very little control. Many feel disorientated, threatened and traumatised. It is easy to become cynical. Religion ought to provide us with an opportunity to acknowledge and address the deeper issues of meaning and purpose in life and the dignity of each person. Religious faith enables and encourages us to ask deeper questions, which are frequently ignored – why we are here and what kind of world do we wish to create and hand on to those who come after us. It is easy to undervalue faith, frequently dismissing the faith perspective of life. Faith has a heritage of values that are not confined to the past but have a living and relevant reality. Faith gives people a sense of dignity and worth that is not determined by what they earn or own. Faith, family and community are very closely interrelated and the neglect of one impinges on the others. In our society laws affect the way in which we view behaviour as acceptable or unacceptable. While the insights of our faith should not be imposed on the laws of our society, yet to disregard what is associated with faith will have implications for human life and human rights. There is a huge temptation to think that because something is permitted by law then it is right or moral. When we insist on the rights of the individual at the expense of responsibilities we do a huge disservice to the common good. Yet, in our contemporary society, whether in politics, economics, ecology or religion there is an underlying current of instability and insecurity. Political correctness, in the minds of many, is being equated with morality. Because something is legal there is an assumption that it is right or moral when of course, this is evidently not the case. Many are endlessly pressurised and feel caught between their parental responsibilities and their professional career. Sadly, so many believe that in order to embrace the future we must jettison the past and they mistakenly see religious faith as associated with the past. We live in a very changed environment in our Western civilisation, in a universe where God scarcely seems to have a place. In times past it was difficult to imagine a world without God. In the 21st century it is difficult and demands courage to re-imagine a world with God. When we exclude God we become builders of the tower of Babel. Faith is relegated to a small domain of private life. Formerly the existence of God was part of a shared truth. The challenge for us today is to find effective ways of recognising the presence of God in our world, to celebrate the goodness of food, family and friendship at meal times, as Jesus regularly did, to recognise mystery in beauty. The old certainties on which we depended are no longer there. As we near the date marking the one-year countdown to the International celebration in Ireland of the World Meeting of Families in August 2018, let us briefly reflect on the pressures facing families today across the country. Busy schedules, dual-career marriages, and after school activities mean that whilst parents do their best – every day – for their children, families are relatively time-poor compared to previous generations. They spend less time together and eat fewer meals together.  Prayer for many is confined to Church attendance, and to socially required ceremonies such as baptisms, communions, confirmations, weddings and funerals. The days of passive belonging are gone. Today we face the challenge of bringing the teaching of Christ into every corner of life, our home, our school, our work and our leisure, our sick and dying, the bereaved and those of special needs. There is a sense of mystery and something mystical about a mountain. Mountains always hold out a challenge to us, and none more so than this conical, commanding mountain of Patrick in Mayo. It speaks of strength and solitude. It has been made holy by pilgrim people down the centuries who came here carrying their pain, their poverty, their hunger and their hopes. The land with its problems we have left far below, the noises, the commerce and the cries of the world are out of earshot. Perhaps on this mountain we experience a moment of peace and tranquillity like the apostles on Mount Tabor and with them we would want to cry out: “Lord it is good for us to be here”. Yet, we must go down and go on. The lessons we learn on this mountain need to be rooted in our every day routine. These lessons call for great and unselfish teamwork when the person who finds the going tough is granted a helping hand, when the one who stumbles and falls is set on their feet again, when the climber who is confused and runs the risk of getting lost in the swirling mist is welcomed back into the group. May our pilgrimage enable us to stand back and take a clear, critical but constructive look at the direction in which our society is moving today. Amen.